The Museum of the History of Science (or “Old Ashmolean”) is a Grade I listed building (List Entry No. 1369352, and for screen wall and piers 1299669). It was built in Headington stone by the University in 1679–83, and patched with Clipsham stone in 1960. 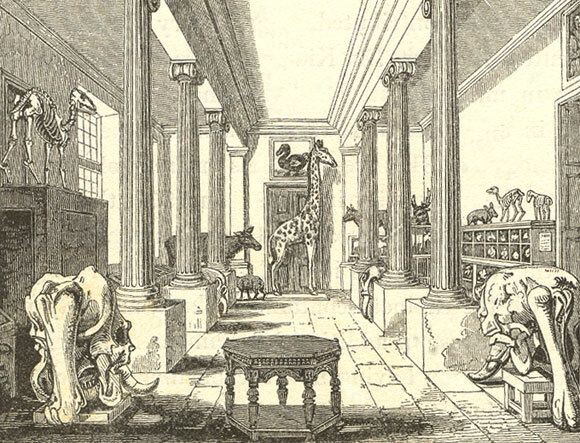 On 24 May 1683 when the Ashmolean Museum opened here it was the first museum in the world to open its doors to the public. The Ashmolean Museum, westward of the theatre, was built in 1679–83 from plans by Mr Thomas Wood, architect, to contain the collection of curiosities made by John Tradescant, a Dutchman, and gardener to Charles I, which his son, the younger Tradescant, bequeathed to Elias Ashmole, who in turn, in 1679, offered it to the university: the collection, including many additions made by Ashmole, is rich in manuscripts connected with heraldry and genealogy, now placed in the Bodleian Library, and the geological collection is said to be one of the best in the kingdom: but many alterations have been made in the Museum, owing to the removal of the natural history specimens to the New Museum; the basement is now the receptacle of a part of the Arundel and other inscribed marbles; the middle room contains various Anglo-Saxon and Mediaeval antiquities, and amongst the former is the celebrated Alfred jewel; there are also ethnological collections made by Captains Cook and Beechey: the upper room, which had long been used for examinations, has quite recently been re-appropriated to the use of the museum, which is open daily from 2 till 4; Arthur John Evans M.A., keeper. The last listing of the building in directories as the “Ashmolean Museum” is in 1895. 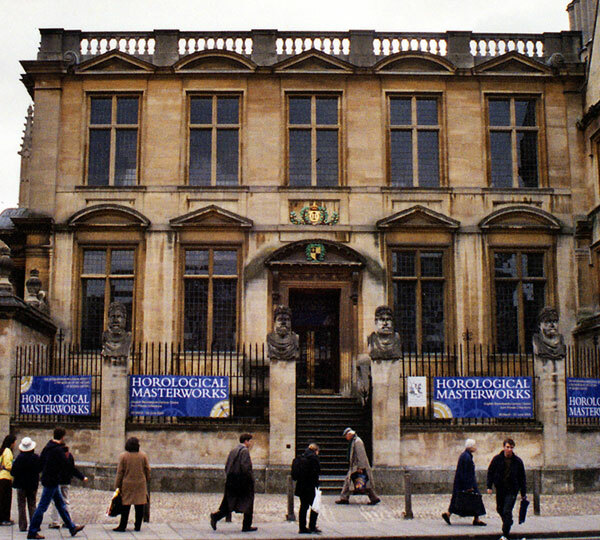 For the next twenty years it was used only as university offices, and by 1899 its name had been appropriated by the extension of the University Galleries in Beaumont Street, so that henceforth the museum in Broad Street is listed as “Old Ashmolean Building”. In 1924 the Old Ashmolean began to assume the role of a museum again, when its upper floor was assigned to the Lewis Evans collection of scientific instruments which had just been presented to the university. In 1935 the building was established by statute as the Museum for the History of Science.